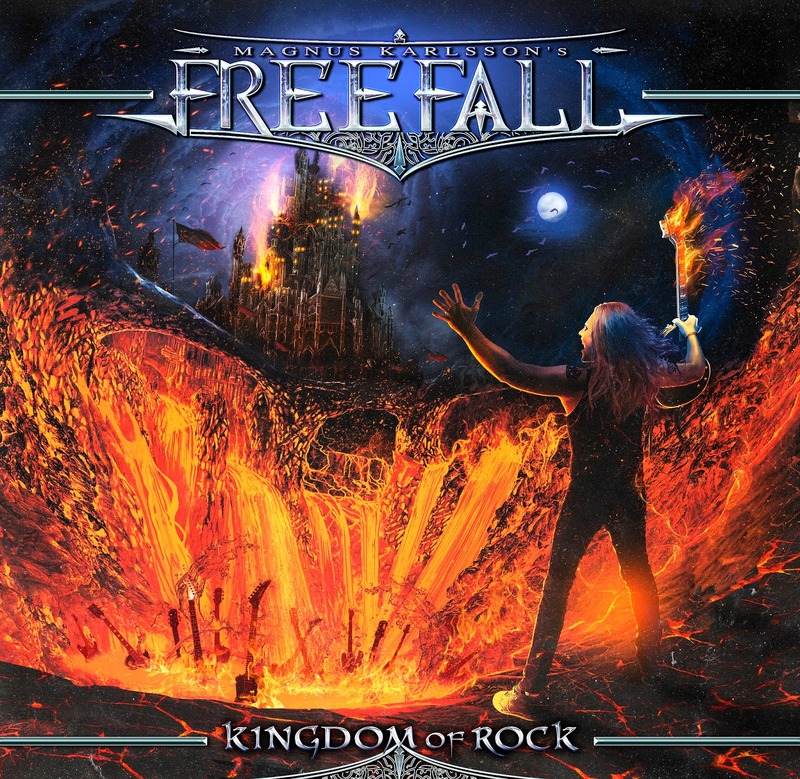 Rock & Metal 4 You: CD-Review: Magnus Karlsson's Free Fall - "Kingdom Of Rock"
CD-Review: Magnus Karlsson's Free Fall - "Kingdom Of Rock"
What have Kiske/Somerville, The Codex, Allen/Lande and Primal Fear in common? They are all projects/bands where guitar-wizard Magnus Karlsson is involved. Especially with the Allen/Lande project he catapulted himself to Metal heaven. Magnus has the ability to write songs that are extremely catchy and anthemic, but still heavy and not cheesy. It's a balance act and he does it very well. But most of all he has a sense for melodies that fit the singers perfectly. So it was no wonder that Magnus presented us his first solo record "Free Fall" with a bunch of guest singers in 2013. Now his second solo outing will be released in November. "Kingdom Of Rock" is an album title, that sounds very over the top, so let's see if this record can do justice to its title. To get straight to the point: "Kingdom Of Rock" combines the best of Magnus' previous projects. There is so many stuff on here that reminds me at older works, you'll notice that in the next few lines and also Magnus has managed it to give his songs a bit more varity this time. 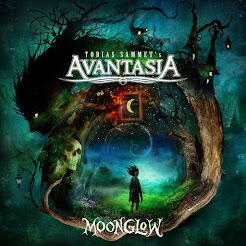 It's still the typical anthemic Melodic Metal you would expect from him. There are no experiments on here. So those of you who hoped for something fresh and new will be a bit disappointed. All the others will fall in love with this album. I was really looking forward to this record when I saw the final line-up of guests, which is even bigger than last time. 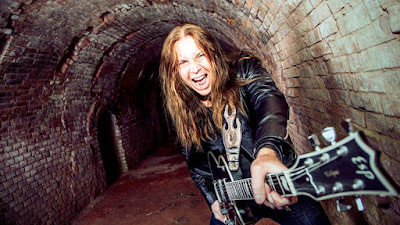 The list includes TONY HARNELL (Skid Row, TNT, Starbreaker), RICK ALTZI (Masterplan, At Vance), DAVID READMAN (Pink Cream 69, Voodoo Circle), JORN LANDE, JAKOB SAMUEL (The Poodles), JOE LYNN TURNER (Rainbow, Malmsteen, Deep Purple), TONY MARTIN (Black Sabbath), HARRY HESS (Harem Scarem) and REBECCA DE LA MOTTE. So anyone who is familiar with those names and owns some albums of them can stop reading now and pre-order "Kingdom Of Rock" immediately. It is really that good. It all starts with the great title track which is performed by Jorn Lande and you know what? This one makes you begging for a new Allen/Lande album, where Magnus handles the songwriting. The latest record was completely done by Timo Tolkki and although it was a solid album "Kingdom Of Rock" is better than any song of "The Great Divide". Jorn sounds excellent here, the guitars are razor sharp and just after one listen you can't get this melody out of your head. A perfect start for an album. The following "Out Of The Dark" is an even heavier, pounding rocker, which is sung perfectly by Jakob Samuel and also here I just can say: I wish the latest Poodles album would have sounded like that. The next highlight follows with "No Control", that features the great Joe Lynn Turner on vocals. This song offers some amazing guitar parts and musical wise it shows a more different side of Karlsson's songwriting, because "No Control" has more of a traditional Hard Rock tune with lots of AOR thrown in. Next in line is Tony Martin and his song "When The Sky Falls" - what an epic piece of music that features a superb hookline in the chorus. Somehow it also reminds me at the pretty cool album Magnus did with The Codex. "Angel Of The Night" is sung by David Readman and also this one is a soild song in the best Pink Cream 69 vein, but with a much better quality than the latest stuff from Readman and his bandmates. Maybe all those singers should arrange Magnus to do the songwriting for their upcoming records with their main bands. The following "I Am Coming For You" is another "Codex"-like song with Magnus himself on vocals and he really nails it. His voice fits perfectly to this style of music, so even without guest vocalists this album would have been great. We hear him again on the last track "Walk This Road Alone", where he makes also a pretty good figure at the microphone, although the song itself is not so strong like the tracks before. In particular I'm refering here to the ultra catchy "Never Look Away" with Tony Harnell on vocals and "A Heart So Cold" featuring Harry Hess. The latter sounds truly like an original Harem Scarem song. So here you see very clear what I mean when I say Magnus can write songs that fit to the vocalist perfectly. But also the atmospheric "The Right Moment" with Rebecca De La Motte on vocals is worth a mention as well as the soild, gritty rocker "Another Life" featuring Masterplan's Rick Altzi. You see, there aren't any weak songs on this album and with all those great vocalists each song has something very special to offer, but in my opinion the true highlight on this record are (once more) the guitars. Karlsson is an excellent guitar player and all these great, melodic solos and double-layered guitars refine every single song. To come to an end: Magnus Karlsson delieverd once more. 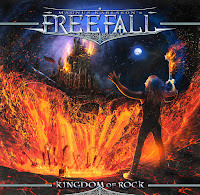 "Kingdom Of Rock" does its title justice and is an enormous Melodic Metal highlight this autumn. It's packed with hook laden songs, outstanding vocal performances by some of the finest voices we have in Rock/Metal right now, soaring guitars and a top-notch production handled by Jacob Hansen (Volbeat, Pretty Maids). This is a MUST-BUY for each and every one of you Metalheads out there.